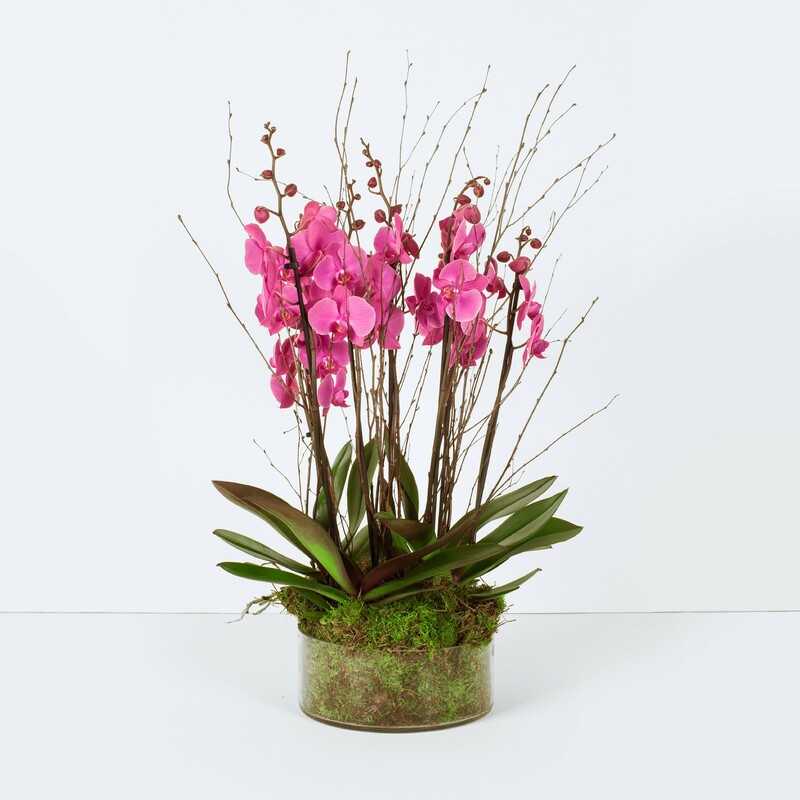 When only something magnificent and wonderfully lavish will do, then you can be sure of success with our Opulent Pink Orchid. A spray of vibrant pink that adds a burst of colour to any room, this arrangement is eye-catching, fun, and brings a touch of glamour to wherever it’s displayed. Orchids are famous for their unique, beautifully shaped petals, and as well as for drawing attention due to their large flowers and alluring fragrance. Usually displayed in single blooms, this arrangement instead celebrates them in all their stunning glory by gathering them together for a rather dazzling display.